Do you remember the last time you ordered something off Amazon? Oh wait, wasn’t that just half a month ago? Riding on a $800 billion net worth and 300 million users, the Amazon empire is headed for growth. The man behind this e-commerce giant is nothing short of a miracle man. 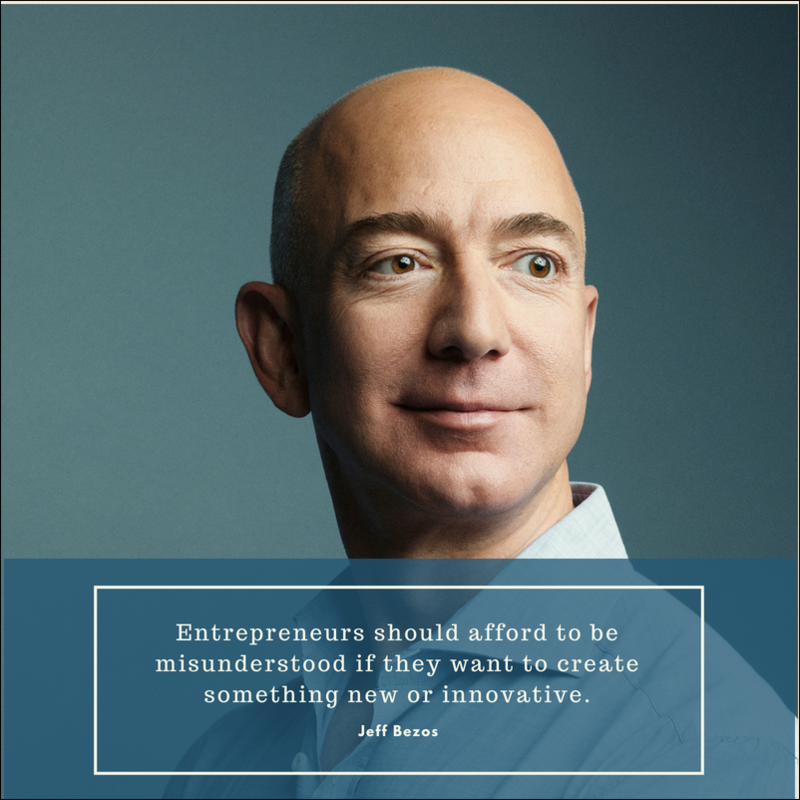 Jeff Bezos continues to inspire entrepreneurs (us included) ever since the company was founded in 1994. It would be an injustice to not include the Amazon growth story on our blog (after all it gives us some solid growth hacking goals). Let’s dig into the finer details of the Amazon story straightaway. We're hoping that by the end of this blog, you would be wondering why Amazon isn’t spelled as A-M-A-Z-I-N-G. Very much like Apple, Amazon found its start in a small garage. Bezos founded the company in his house in Seattle with a $250,000 loan from his parents, the amount being their entire life savings. Even though Bezos had originally considered having five products (compact discs, computer hardware, computer software, videos, and books) in his inventory, he ended up selling only books. Today, Amazon employs 566,000 people and boasts of a sprawling office in Seattle, Washington. How did he get from there to here? Well, that’s what we are here to find out. Bezos originally named the company ‘Cadabra Inc.’ He wanted to select a name that resembled the spell ‘Abra Kadabra’. However, after a phone call with a lawyer who misheard the name as ‘cadaver’, he decided to change it to Amazon. Fittingly, the company was brought to life after it sold products in all 50 states and over 45 countries. Bezos recalls the earlier days of the company in an interview and how it was “grossly understaffed”. In the same interview, he shared an anecdote about packing products and how his knees would give out because of the long hours spent on packing. The only solution his tired mind could come up with was knee pads, which he considered as a eureka moment. When his employees suggested getting a packing table instead, Bezos realized just how ‘overworked and understaffed they were.’ Considering how far they have come since then, we can forgive them for not naming the company after a magical spell ‘Cadabra’. After all, this is nothing short of a magical tale! The Amazon logo was designed later. It had an arrow starting from A and ending at Z to represent how it sells almost everything. It is also a representation of the smile on the customer’s face after having a great shopping experience at Amazon. Bezos left his stable job at Wall Street and moved to Seattle because of what he calls his ‘regret minimization framework’. He describes it as just a fancy way of conveying his regret for not participating in the internet boom sooner. This motivated him to keep on expanding and innovating despite the company’s status. In July 1995, the company began service as an online bookstore. In June 2017, Amazon announced that it will take over Whole Foods Inc. in a deal of $13.7 billion dollars. The Whole Foods CEO described the deal as a ‘love at first sight’ (more like love at first site :p) Meanwhile, experts described this move as a way to challenge Walmart’s supremacy as a brick and mortar retailer. If there’s one thing we learn from this, it’s that this ecommerce giant doesn’t play around the bushes when it comes to business. Even though Amazon prides itself on being an ‘everything shop’, they never forget their roots. Many of their inventions and acquisitions are related to retail of books. The company took over Goodreads in 2013, shocking many writers declaring it as a “truly devastating act of vertical integration." Many experts believe that Amazon follows a policy of “eliminating or absorbing competitors before they became a serious threat”. 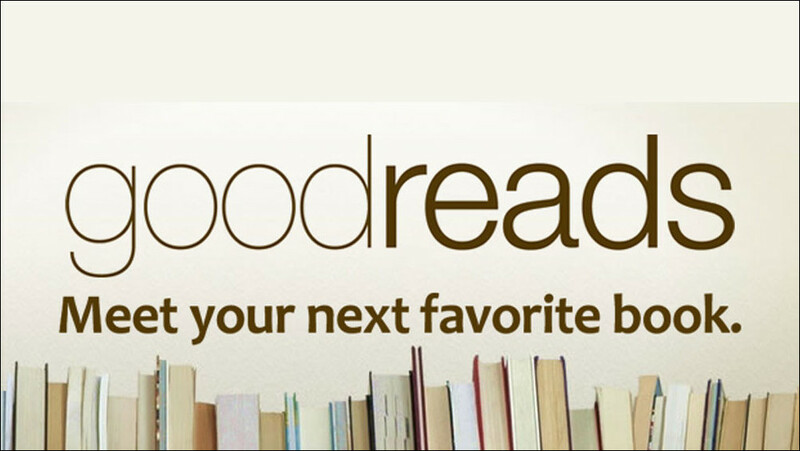 Goodreads revolutionized modern reading and how people discover books. And well, Amazon liked it, Amazon took it! Zappos is an online shoe and clothing retailer based in Las Vegas, Nevada. 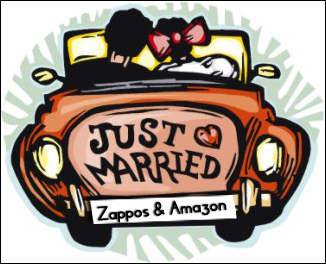 Amazon acquired Zappos in 2008 for $800 million. Hence, expanding it’s retailing business to untapped markets. Another major merger that deserves a mention for its sheer massiveness (and we’re talking 1.8 billion-massive) is its acquisition of a start-up named Ring, a smart doorbell maker. It was aimed at providing effective yet affordable home security tools. Well, if a billion dollar company is backing you up, you’re bound to feel secure. 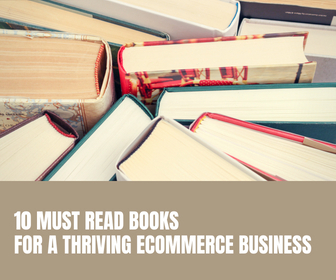 When Bezos pitched the idea of an online bookstore to his parents, they replied with a question,“what’s an internet?” We’re sharing this with you to showcase the fact that the very foundation of Amazon was based on innovation, far ahead its time. They do not shy away from inventions. Alternately, they don't shy away from pulling out of ventures that do not live up to their expectation. What is the most annoying thing about shopping in stores? The dreaded waiting line. 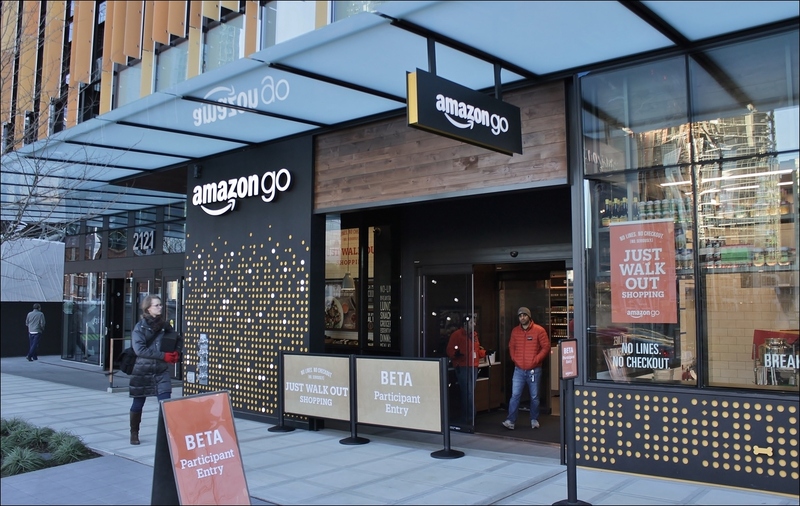 Amazon strived to solve this problem with Amazon Go, a digital store opened on January 22, 2018, in Seattle. Consumers just have to show their Amazon Go app at the shop’s entry and every product they buy is added to the account. You say ingenious, we say Amazon. This invention has become synonymous with digital reading. 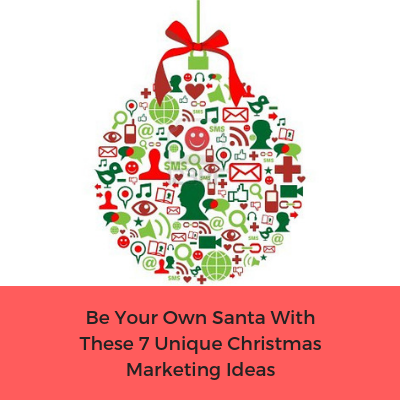 The Kindle devices enable users to browse, buy, download, and read e-books, newspapers, magazines and other digital media via wireless networking to the Kindle Store. 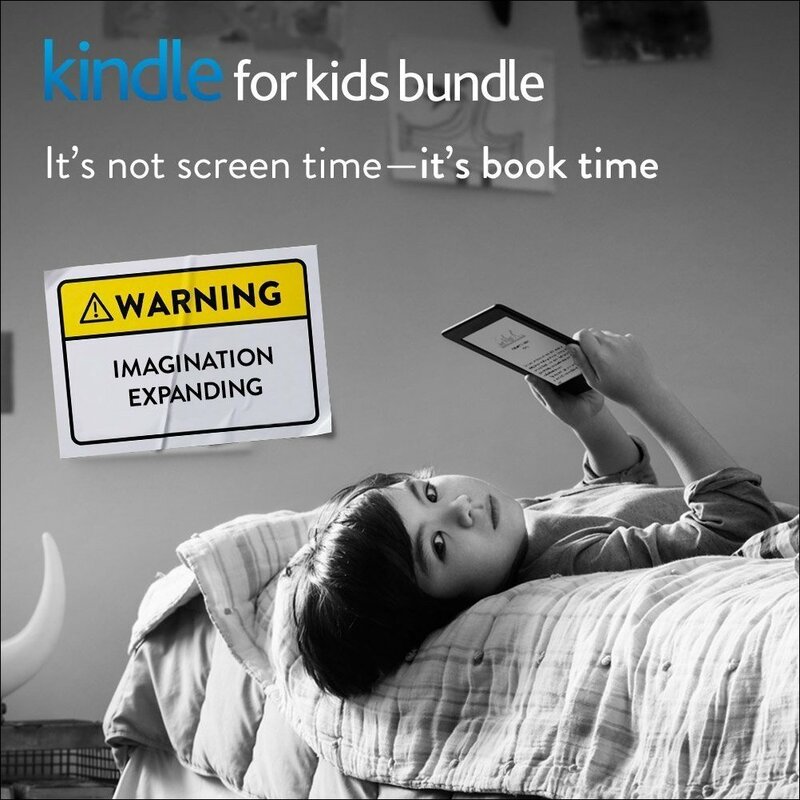 It’s environment and bibliophilic centric marketing strategy made Kindle a household name. In fact, the first Kindle batch sold out in less than 6 hours. Do we need to say more? This small network appliance entertainment device will stream everything from Netflix to standard T.V. channels. This device equipped with WiFi, voice search, and 4K UHD support is unparalleled when it comes to entertainment devices. Oh, and did we mention the effortless navigating panels it includes? Amaz-on, Amaz-off. An innovation for the innovative. 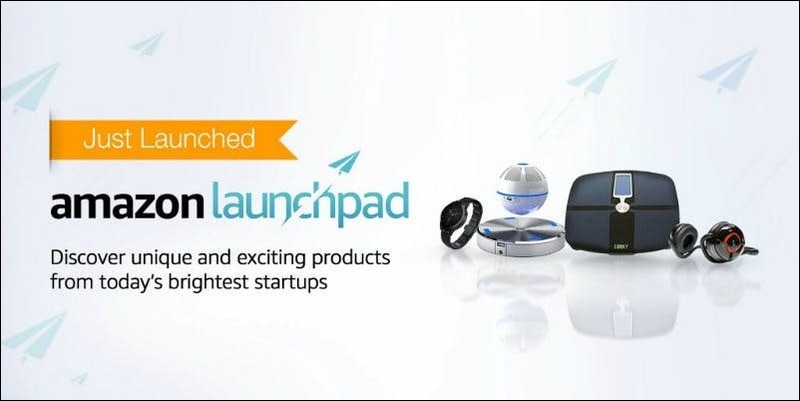 Amazon Launchpad curates innovative, hard to find products in the market designed by startups, crowdfunding platforms and, incubators. The startups get a platform to sell their product and Amazon gets bigger with every product. Now that’s what we call sticking to your word! 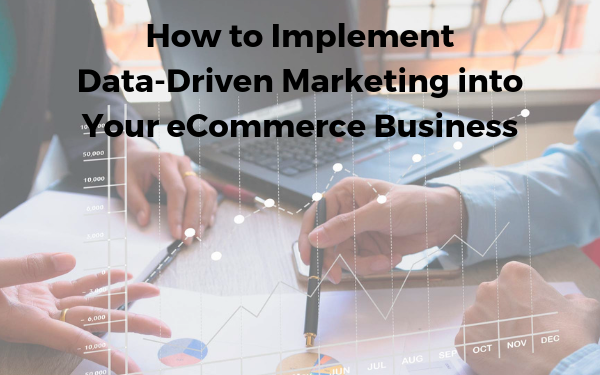 Amazon is a consumer-centric company and has developed a range of helpful tools users can employ to track packages and quickly return or exchange ordered items. This brings simplicity and convenience to the overall online shopping experience. It pays attention to the minute details of the market demands and it is safe to say that this ideology has worked out well for Amazon. In 1997, Jeff Bezos told Inc. Magazine that this company would not be profitable in the distant future. His “in it to win it” mindset sailed the company through tough times until 2003—when the company posted its first profit. There have been some huge missteps and controversies on the way, but Amazon overcame them like a pro. Bezos knows that it’s not about how fast you run, but how far you go. Amazon's biggest competitor at the time when it only sold books was Barnes and Nobles. In 1997 Barnes and Noble sued Amazon alleging that it is not a bookstore at all but a ‘book broker’. They ended up settling this lawsuit outside the courtroom. Furthermore, Amazon was in a great threat of closing down when Barnes and Noble opened their own online bookstore. Consequently, Bezos was sure of one thing: they could not control the actions of their competitors but they could control the customer service that Amazon provided. Consumers continued buying from Amazon because of their amazing service and the competition made negligible effects on their sales. How would you feel if somebody quietly came into your bedroom and stole the book you were currently reading and leave you the money it took you to buy it? That is exactly what happened to Kindle users in 2009 and exactly what put Amazon in a bit of a pickle. In 2009, a company added George Orwell’s novel ‘Animal Farm’ to the Kindle store even thought they didn't have the proper rights to it. Therefore, the only solution the management could think was to delete the book from users’ accounts who downloaded it and then refund the money. Rest is history and what sensational media dreams are made of! Amazon is infamous for using patents as competitive hindrances. For instance, they patented a customer referral system called ‘Affiliate program’ on February 22, 2000. Consequently, industry leaders like Tim O’ Reilly spoke out against patent like these that ‘limit the development of e-commerce industry’. Bezos responded to this and the feud ended with both of them visiting Washington, D.C. to lobby for patent reform. It would be extremely disappointing if Amazon was only famous for these controversies. Thankfully, that’s not the case. It is continuously in the news for helping small businesses and giving a platform to disadvantaged people. What an all-rounder! Amazon stresses on the fact that half of the products sold on their site worldwide actually come from small and medium-sized businesses. They showcase stories of small businesses that have access to worldwide consumers because of their services. The Amazon ‘Fulfillment program’ offers two-day shipping by preshipping their items to their fulfillment centers. Amazon handles the shipping, packaging and customer service. Talk about planning ahead, huh? This company goes big in everything and CSR is no exception, They have numerous far-reaching initiatives across different geographies. Some of the stories are reflected in the About Amazon section of their website. One thing’s for sure, if you have a good product, Amazon will make you sell it right. What’s the next step for a company whose owner can buy a mansion with his pocket change? It is to change the future. Technology Review published an article explaining why we can “see the future of Amazon from MARS.” MARS standing for machine learning, home automation, robotics, and space exploration. Coincidentally, the name of their conference in 2018 and the blueprint for its future plans. In layman terms, home automation systems control your house as an overarching machine. It can control lighting, entertainment systems, and other appliances. Furthermore, it includes home security such as access control and alarm systems. 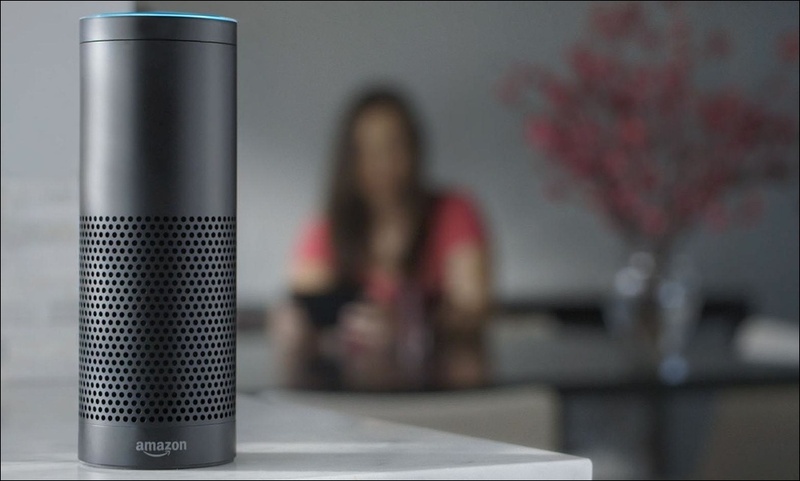 With Alexa, they have already proved its mettle in home automation systems. Experts have predicted that Amazon will sell 29 million and 39 million Echos in 2018 and 2019 respectively. Alexa, play ‘Money’ by Pink Floyd. 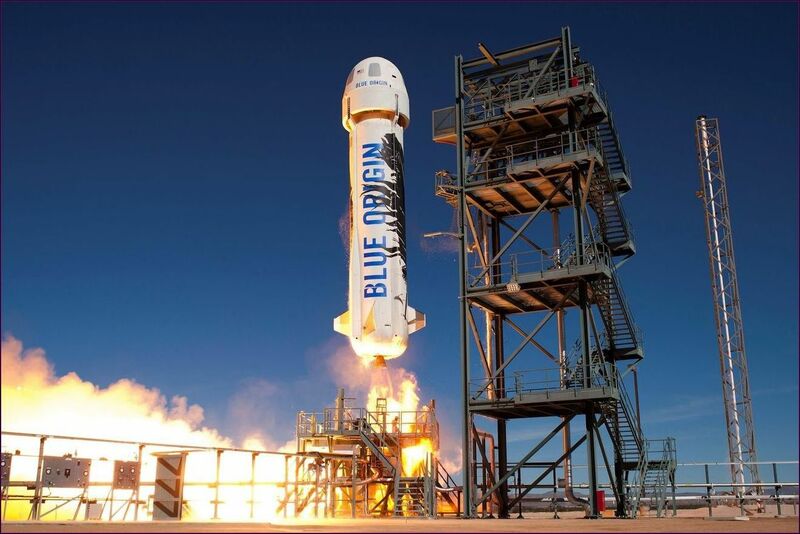 Blue Origin, a space exploration startup funded by Bezos launched a rocket called Vulcan for space exploration in September 2015. In the future, Bezos aims at relocating earth’s industries and economies to other planets and maintaining earth as a strictly ‘light and residential’ planet. Is this a tad bit overambitious? 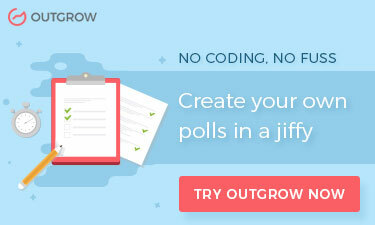 We would be tempted to say ‘yes’ if it wasn’t Bezos himself telling us that. For a company that aims at re-defining ecommerce, this comes as no surprise. From using robots in warehouses to drones for delivery, Amazon is well on his way to a more efficient form of ecommerce eliminating human errors. 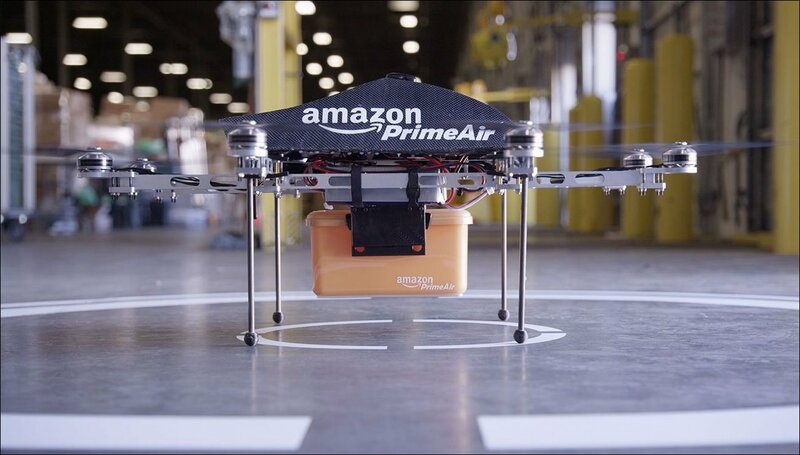 From apparels to drones, Amazon has got you covered on all fronts. With Bezos buying Washington post in 2013, we can conclude that Amazon is now officially everywhere. Apparel, consumer electronics, beauty products and now, space exploration. What’s next for Amazon?